I knew something was wrong with the deal, but I wasn't quite sure what. And to be honest, part of me didn't really want to know. I just wanted the sale to work — and quickly. A while back, I was shopping for a video camera for my office. Strapped with a $2,500 budget, I searched for creative ways to get the $3,000 model I really wanted. Just as I was about to give up, I found a website that promised the same exact model for $2,499. Could it really be true? What's wrong with it? I decided it was worth the risk and plunked down the credit card, feeling smug about my savings. Three weeks later when the camera hadn't arrived, guess who was in a mild panic? Did I really lose $2,500 trying to save $500? That's the seduction of gray market cameras. The deals promise brand new cameras at hundreds of dollars less than you know they should cost. Are gray market cameras too good to be true? What's really wrong with them? Big Easy band playing in the French Quarters is one of many sights from our PhotoTour New Orleans. Of course Scott is simplifying his role quite a bit. He’s right that travel photography is a great way to create photographs, but it requires more than showing up and pushing a button. Follow these 5 Ps for great travel photographs and travel photography experiences. 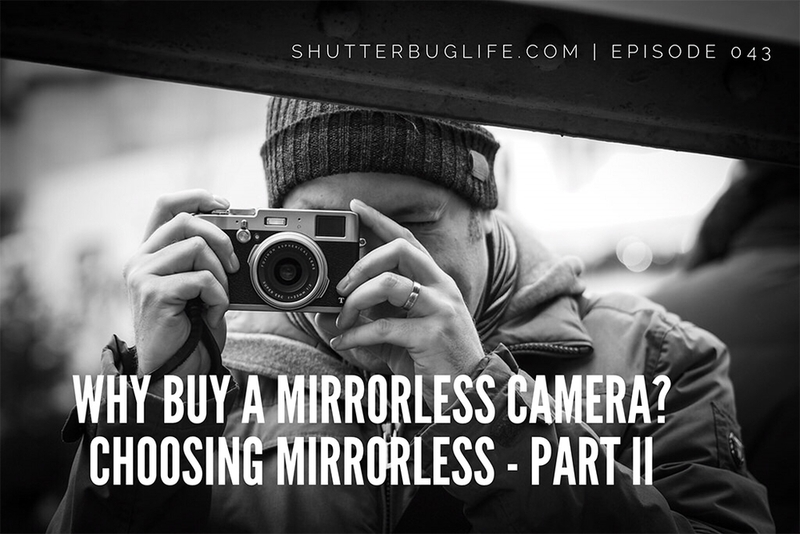 043 - Why buy a mirrorless camera? If you are looking for a bit of overwhelm, try picking a Mirrorless camera from the booths at PhotoPlus Expo. Wander up to any camera manufacturer booth, and you are sure to see a long line of camera bodies and lenses in their Mirrorless options. Many photographers are still trying to decide if you need a Mirrorless camera, and if so, which one is right for you. Is it time to buy a new lens? Well this could get tricky. You have to understand elements and groups; lens mounts and formats; new vs. used and so much more. Let's talk about all these decision points. I'll break them up into the seven questions I'm asked most often. 10 years ago, Adam Levner was alarmed when he saw the difference between the education that wealthy students and those from low-income schools received. As a former 5th-grade teacher turned community organizer, he often struggled trying to convey the magnitude of the problems he witnessed.